I am working with a MacBook Pro 2018 and an external Display EIZO CG 277. Since my notebook has been updated on Mojave, my external display have an incorrect resolution. I had a mail exchange with EIZO – they couldn’t help. The display is connected via DisplayPort/USB-C. 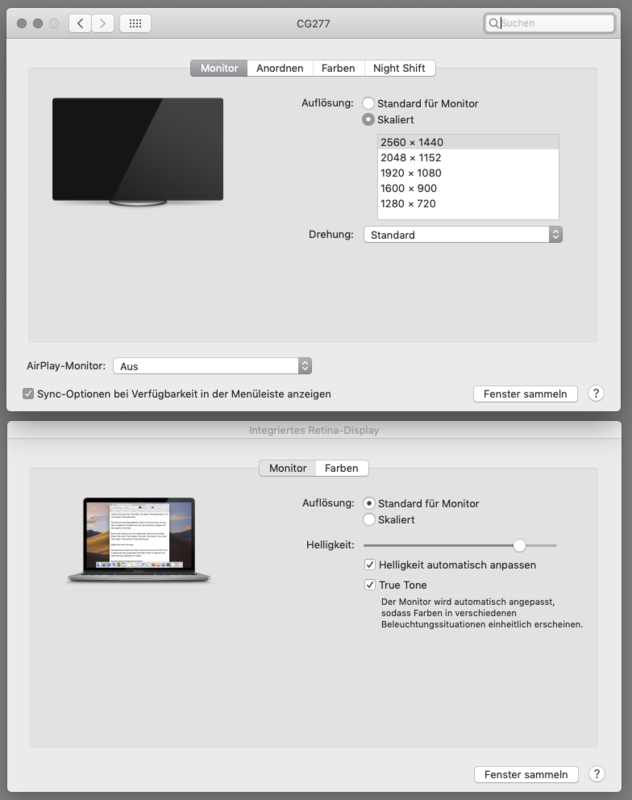 The resolution — as shown in the settings — should be 2560 x 1440. But it isn’t. Browse other questions tagged macbook display mojave resolution . Low display resolution after using external display?